Brač is an island in the Adriatic Sea within Croatia, with an area of 396 km², making it the largest island in Dalmatia, and the third largest in the Adriatic. 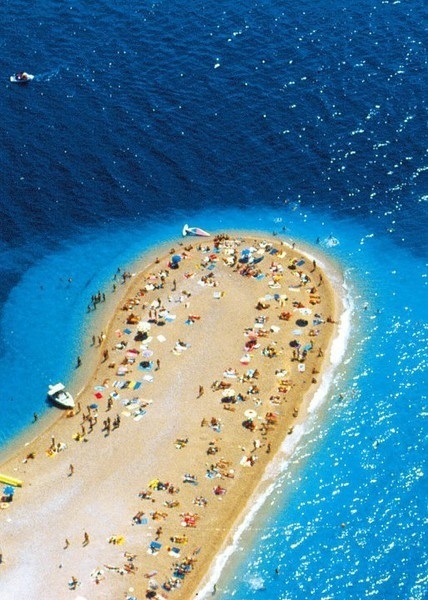 Its tallest peak, Vidova gora, or Mount St. Vid, stands at 778 m, making it the highest island point in the Adriatic. The island has a population of 14,436, living in numerous settlements, ranging from the main town Supetar, with more than 3,300 inhabitants, to Murvica, where less than two dozen people live. Bol Airport on Brač is the largest airport of all islands surrounding Split. The economy of Brač is based mostly on tourism, but fishing and agriculture (especially wine and olives) are very important too, as is its precious white stone which was used in building Diocletian's Palace in Split and the Canadian National Vimy Memorial. Historically, Brač was famous for goats; even Pliny comments that from the island of Brattia (the Latin name for the island) comes excellent cheese, wine and olive oil.